It is only 4 months away but there is just about enough time to plan, save and turnt up to one of the grooviest summer festival of the year. Hosted by newly engaged King of R&B, Banky W, with some of the most popular artists performing live, organisers are sure prepping this night to be one to remember. 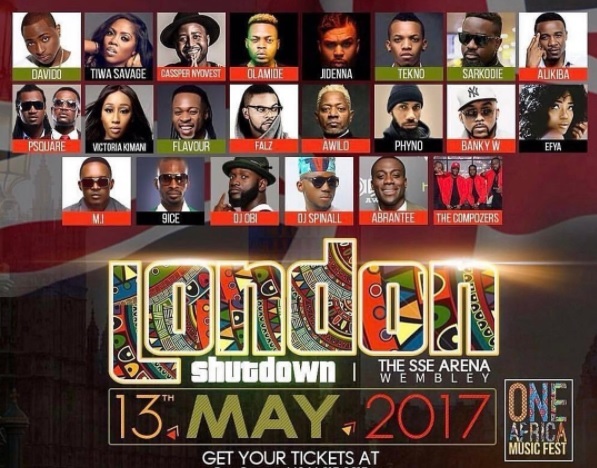 Naija UK Events, UK Nigerian Nigerian events in London 2017, One Afro-Naija Music festival --> 13th May --> London --> SSE Arena Bookmark the permalink.